Our kitchen is all done and dusted in terms of getting it ready to sell and move on, but I have to admit it's not our taste - it's really lovely, fresh and fairly modern but it's not personal to us and thats they thing about renovating a house is that you need to detach yourself from what you are doing to make it as sellable as possible. 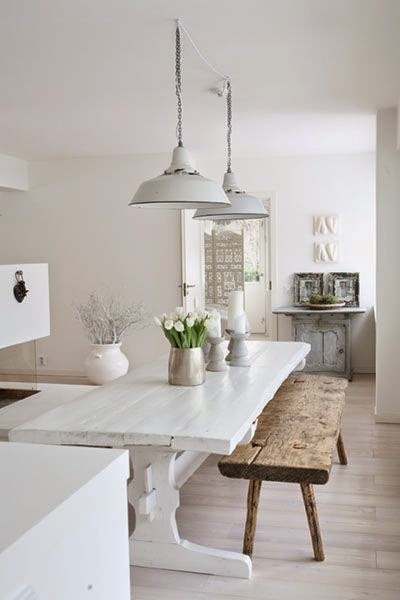 So this Sunday I am dreaming of rustic, stylish kitchens...of future kitchens, that capture the essence of being the heart of the home. 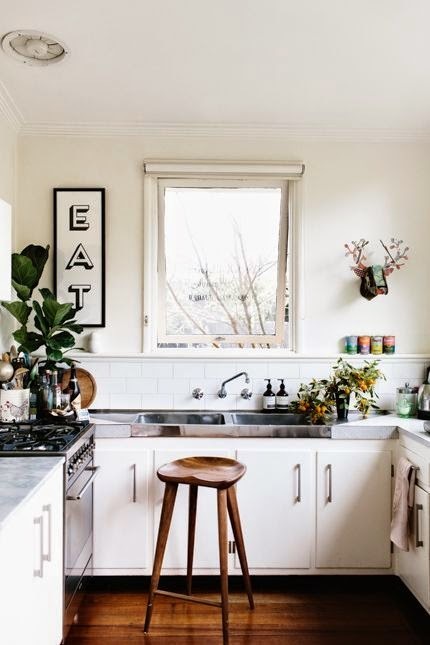 As time goes on I am attracted more and more to white walls and building on top of that and layering it with wall art, green foliage and natural accessories. Very much down the lines of the Scandi inspired looks. These are so beautiful! 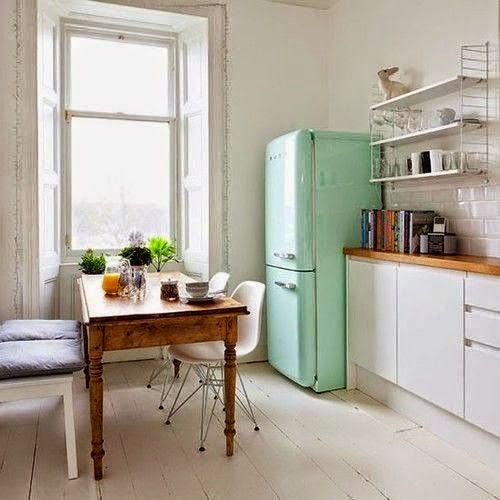 Nice finds Laura, I love a calm kitchen.